With a new CD just released, this is one of the greatest Indie bands EVER! 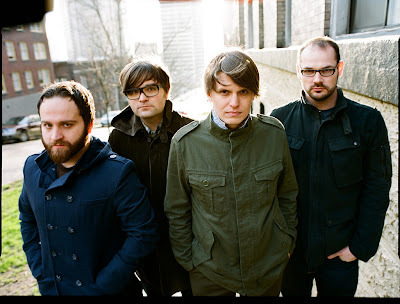 Death Cab for Cutie is an American band formed in Bellingham, Washington in 1997. 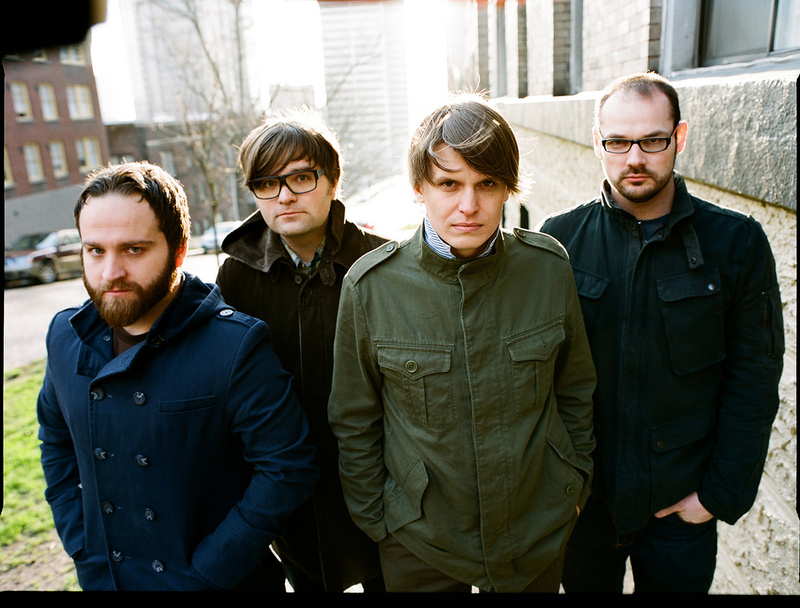 The band consists of Ben Gibbard(vocals, guitar), Chris Walla (guitar, production), Nick Harmer (bass) and Jason McGerr (drums). Gibbard took the band name from the title of the song written by Neil Innes and Vivian Stanshall and performed by their group, the Bonzo Dog Doo-Dah Band, in The Beatles' 1967 film, Magical Mystery Tour. The song's name was in turn taken from a pulp fiction crime magazine. Gibbard's first album, You Can Play These Songs with Chords, was released as a demo, leading to a record deal with Barsuk Records. It was at this time that Gibbard decided to expand the project into a complete band, and recruited band members to join. The band has released six studio albums, five EPs, and one demo to date. The band released their seventh album, Codes and Keys, on May 31, 2011. 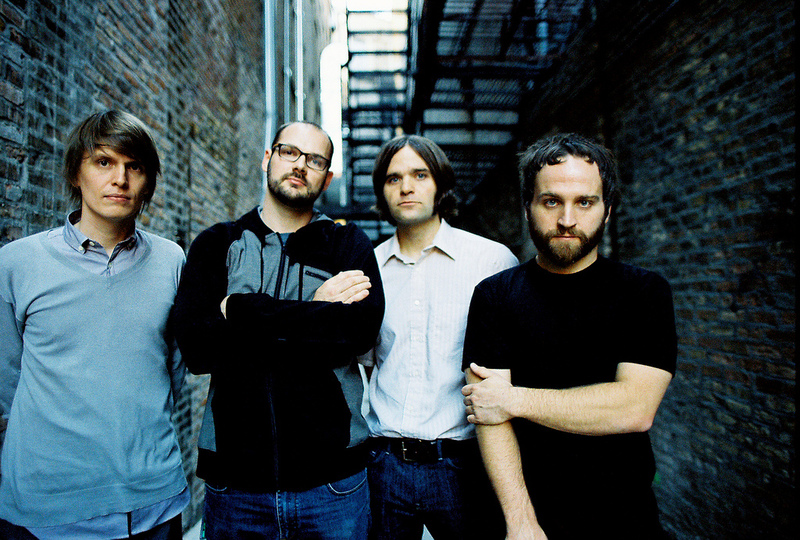 Death Cab for Cutie began as a solo project of Ben Gibbard while he was the guitar player for the band Pinwheel and was recording under the name All-Time Quarterback. As Death Cab for Cutie, Gibbard released a cassette titled You Can Play These Songs with Chords; the release was surprisingly successful and Gibbard decided to expand the project into a complete band. He recruited Chris Walla (who had also worked on the cassette) as a guitarist, Nick Harmer as bass guitarist, and Nathan Good to play drums. 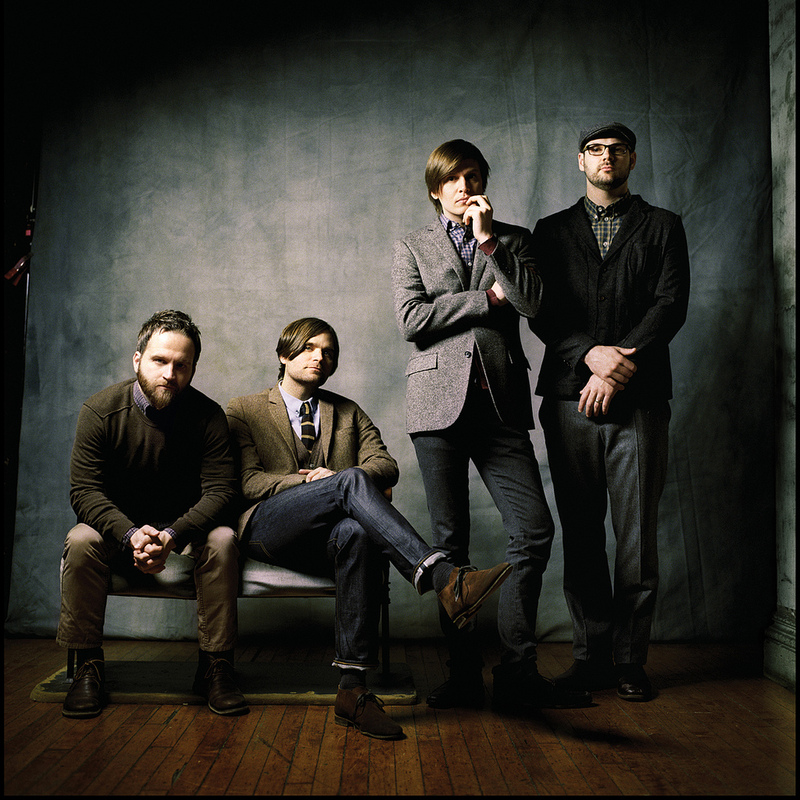 Death Cab for Cutie was officially formed at Western Washington University in Bellingham, Washington, and lyrics from early songs include local references that were important to the band's development. Many of the early songs were recorded in the basement of an Ellis Street home Gibbard lived in with several roommates in Bellingham. The four released the LP Something About Airplanes on August 18, 1998. The album was favorably reviewed in the independent music scene and in 2000 the band released We Have the Facts and We're Voting Yes. Nathan Good left the band at some point during this album's production, replaced by Jayson Tolzdorf-Larson. Good's playing on “The Employment Pages” and “Company Calls Epilogue” was kept, but Gibbard played drums on all other songs. Although Tolzdorf-Larson did not contribute to the album, he did appear on the song, "Spring Break Broke" from the "Death Cab for Fiver" 7" record. He also joined the band on two tours, including their first full U.S. tour. He was later replaced by Michael Schorr who would first appear on The Forbidden Love EP, released on October 24, 2000. In 2001, another LP was released, entitled The Photo Album. Limited editions of this album contained three bonus tracks, which were later released separately as The Stability EP. In 1998 the band met their long-term manager Jordan Kurland. Kurland had heard good things about them and after a failed attempt to see them play at South By Southwestfinally hooked up with them when touring with his then client the band Crumb. In 2003, there was yet another change of drummer, with Jason McGerr of Eureka Farm replacing Schorr. McGerr would play drums on the next release, Transatlanticism, which was released in October 2003. Tracks from the album appeared in the soundtracks of the television shows The O.C., Six Feet Under, CSI: Miami and Californication, and the films Wedding Crashers and Mean Creek. In spring of 2004, the band recorded a live EP titled The John Byrd EP, named for their sound engineer. The EP was released on Barsuk Records in March 2004. The band had been contacted by major labels on and off for several years but it was only after Transatlanticism had proven very successful that they decided to start talking to labels about a potential deal. Having already achieved considerable success meant that they would be able to negotiate a lot of creative freedom. According to Kurland they spoke to "pretty much all of them" and then decided they were most excited by what Atlantic had to offer. In November 2004, Death Cab for Cutie signed a “long-term worldwide deal” with Atlantic Records, leaving their long-time label Barsuk Records. Gibbard stated on the official website that nothing would change except that "next to the picture of Barsuk holding a 7", there will be the letter "A" on both the spine and back of our upcoming albums." After signing to Atlantic, the band was still nervous about corporate economics, and encouraged fans to download its songs from the Internet. The first and second singles from the band's Atlantic Record release Plans were “Soul Meets Body” and “Crooked Teeth” respectively (which they performed on Saturday Night Live on January 14, 2006). The full album was released in August 2005. Plans was well received by critics and fans, and received a nomination for the Grammy Award for Best Alternative Album of 2005. It achieved Gold Status in 2006 after charting on Billboard for 47 consecutive weeks and was certified platinum by the RIAA at the beginning of May in 2008. The band released a touring DVD titled Drive Well, Sleep Carefully, in 2005. Known for their contributions to animal rights, the band is supporting the activist group PETA in giving away copies of the DVD to promote animal rights. In early 2006, the band announced the upcoming release of Directions, eleven short films inspired by songs from thePlans album, each directed by a different person. The videos were posted one at a time at the band's website and the DVD went on sale April 11, 2006. The iTunes Store began selling the videos (formatted for iPod) early on March 28, 2006. Lance Bangs, P.R. Brown, Ace Norton, Jeffrey Brown, Lightborne, Autumn de Wilde, Rob Schrab, Laurent Briet and Monkmus, as well as Aaron Stewart-Ahn, are among directors that have contributed to the project. An episode of MTV2's Subterranean played these videos for the whole hour plus discussion with members of the band. In 2006, the band made their first appearance at Neil Young's annual Bridge School Benefit. The band completed their lengthy 2006 tour of the USA on December 10, 2006, finishing with a show at the Key Arena in Seattle, Washington. Walla claimed on October 18, 2007, that the new album was "in full swing" and that they had six songs completed. He went on to call the new music "weird," "spectacular," and "creepy," saying that it contained "lots of blood." He noted that the album had a "Can jam" that lasted 10 minutes, which Walla said that he would have never imagined doing in 1998. In a Billboard piece in January '08, the band promised the album to be a "curve ball," and said that although it would have slower songs, there would be some surprises. Walla said, "I'm really excited about it. It's really got some teeth. The landscape of the thing is way, way more lunar than the urban meadow sort of thing that has been happening for the last couple of records." Walla added that the album was "louder and more dissonant and ... abrasive." They claimed that they were influenced by "synth-punk band Brainiac." The album, titled Narrow Stairs, was released on May 12, 2008. The band released the first single, "I Will Possess Your Heart" from the album on March 18, 2008. The radio edit version does not include the extended introduction. In an album review, MTV writer James Montgomery said "Narrow Stairs is a great album, one that could make them very famous, but could very well also kill their careers," and although "Death Cab for Cutie had gone insane," he believed the LP could be "an early contender for the best album of 2008." Indeed, Narrow Stairs was nominated for "Best Alternative Music Album" and "I Will Possess Your Heart" received a nomination for "Best Rock Song" at the 51st Grammy Awards. The band lost in both categories, but prompted debate after appearing at the ceremony sporting blue ribbons to protest against what they view as the excessive use of Auto-Tune in the music industry. "Narrow Stairs" was their first album to reach #1 on the Billboard 200 chart on May 31, 2008. "No Sunlight" is the third single from the album. On March 31, 2009, the band releasedThe Open Door EP, containing tracks left off "Narrow Stairs" as well as a demo for "Talking Bird". The Open Door EP was nominated for Best Alternative Music Album at the52nd Grammy Awards. In 2009, the band wrote the song, "Meet Me on the Equinox" for the The Twilight Saga: New Moon soundtrack. 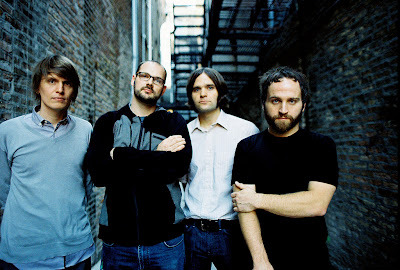 "Meet Me on the Equinox" was not the first song that Death Cab for Cutie contributed to a soundtrack, as they contributed "Soul Meets Body" to the soundtrack for Catch and Release in 2006. In a recent interview the band announced the details of their upcoming album, Codes and Keys. The album was released on May 31, 2011. Ben Gibbard and Nick Harmer have both been quoted as saying that the album will be "a much less guitar-centric album than we’ve ever made before". In March 2011, Ben Gibbard performed the title track at a solo concert in San Francisco. The tracklisting was released on their website on the 15th of March, 2011. The first single from the album, "You Are A Tourist," has drawnStone Roses comparisons. On April 5, 2011, the group streamed a live performance of the music video for "You Are A Tourist." The video was accomplished in one take, using multiple cameras, and no edits or re-takes. The innovative and artistic production employed dancers, actors, and projected images. The band released the video for "Home is a Fire" on May 9th. The video features street artist Shepard Fairey plastering lyrics from the song around Los Angeles. Following the release of Codes and Keys, Paste Magazinestated that the album is "a good one with great moments from a band that is clearly getting better with age."